The most successful eCommerce companies make data-driven decisions to optimize conversion rates. While cart abandonment provide some helpful data, Google Analytics Enhanced Ecommerce makes it easy to track visitors through the entire eCommerce conversion funnel—from a cart addition through a purchase—which can help you make more informed decisions. In this article, we will look at why you should be tracking carts, checkouts, and purchases, as well as how to apply these insights and improve your conversion rate. Shopping cart abandonment, or the percentage of visitors that leave your website after adding a product to their cart, is one of the most widely tracked eCommerce metrics. In some cases, it might be the only metric that an eCommerce store is tracking. But tracking only cart abandonment is a mistake. You should be tracking the entire eCommerce funnel. It’s tempting to assume that visitors add a product to a shopping cart with the intent to purchase it, but that’s not always the case. Many visitors use shopping carts as a wish list to save things for later—especially if there is no wish list functionality available. They might not have any intention to purchase, or at least no intention to purchase right away. If your website has a high percentage of visitors using a shopping cart as a wish list, you will have high shopping cart abandonment rates. This might lead you to incorrectly assume that something is wrong with your shopping cart, when in reality, the problem is that a lot of visitors want a wish list. That’s just one reason why it’s important to track the whole conversion funnel. Shopping carts are certainly an expression of interest, but checkouts and purchases show what visitors are actually following through and buying. It’s important to understand what’s happening at every step of the checkout process to make good data-driven decisions. A/B Testing – Tracking checkouts enables you to see if changes to your site impact conversion rates. For example, you might add a wish list and see if the ratio of cart additions to checkouts increases, and if not, it might suggest that more could be done to encourage visitors to begin the checkout process. Checkout Abandonment – Tracking individual checkout steps can yield detailed insights into what’s causing visitors to abandon the checkout process. 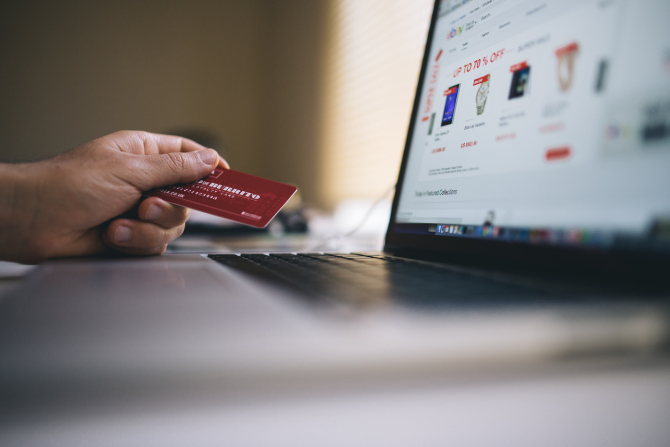 For example, if you find that most visitors abandon the checkout when asked for payment information, it could be an indication that you should offer additional secure payment methods or incorporate security badges. Customer Insights – Advanced metrics can provide insights into individual products and customer purchasing behavior. For example, you might compare cart-to-purchase rates for a set of products to see what’s over- and under-performing in a given category. This data can be used to troubleshoot item-specific issues or even reorganize product lists to prioritize the best items. The entire checkout process—not just the shopping cart—plays a critical role in determining conversion rates. By measuring the drop-off at each step of the checkout process, you can figure out what problems customers are facing and resolve them. This can, in turn, improve your conversion rates. What kinds of problems are customers facing when checking out? Of course, these statistics are generalized across a wide range of eCommerce stores and don’t necessarily apply to your business. That’s why it’s important to track the eCommerce conversion funnel to discover what problems apply to you. You can do this by setting up Google Analytics’ Enhanced Ecommerce with the proper conversion funnel reports. For more information, see Google’s documentation or our post on tracking product list impressions and detail views. You should also look at ways to improve conversion rates beyond simply addressing problems with the checkout process. After all, there are many improvements that you can make that help increase conversion rates even though they don’t directly address customer problems. Most customers expect to input their email address when checking out—even if they’re not signing up—in order to receive a receipt or updates on the order. So, why not collect it early on in the checkout funnel? Email addresses are tremendously valuable for shopping cart abandonment campaigns. Without an email address, it’s nearly impossible to reconnect with visitors that abandon their shopping carts. With an email address, you can set up an email campaign that can bring them back and turn them into customers. The checkout process should be as simple and streamlined as possible—the next step should be painfully obvious. You should avoid any unnecessary fields, such as a full address if no product is being shipped, and try to avoid reloading the page for each step (e.g. consider a one-step checkout process). Similarly, the best way to avoid abandoned carts is to minimize the ways that they can abandon it. You may want to consider removing the header and footer of your site and leave them with only checkout-related options. In its place, you can add a progress bar, social proof, or security badges. Digital wallets are becoming increasingly popular alternatives to credit cards. Apple Pay, Google Wallet, and Amazon Pay can dramatically simplify the checkout process, while helping customers avoid many of the concerns associated with other payment methods—such as the security of credit cards. When processing credit cards, you may want to consider showing trust seals, such as Norton’s Norton Secured, Google’s Trusted Store, or the BBB’s Accredited Business. You can also display reviews or provide live customer chat functionality to help reassure customers. Avatria Convert takes raw data from Google Analytics and other sources and converts it into actionable insights that can improve your conversion rates. Using machine learning algorithms, the platform can predict the optimal product order in your categories, related products pages, and search results pages, and show customers what they’re most likely to purchase. This, in turn, can help improve your conversion rates. For example, you may track carts, checkouts, and purchases using Google Analytics Enhanced Ecommerce. Avatria Convert automatically takes this data, analyzes it, and suggests optimal product orders. You may use these insights to prioritize products that customers are most likely to purchase, while moving worse-performing products lower on product list pages. The result is a higher conversion rate and more customer purchases. We have found that Avatria Convert helps improve eCommerce conversion rates by up to 40 percent, per-session value by up to 56 percent, and overall revenue by up to 70 percent. If you’re interested in learning more, you can start your free trial today.